Our hips are a part of many everyday activities, especially walking. That is why hip fractures are one of the most severe injuries older adults face. For nursing home residents, ensuring that hip fractures are avoided is an important step in helping elderly residents maintain the best quality of life available. That is why It is so important that nursing homes take steps to ensure that the risk of hip fracture is minimized for all patients. The United States Centers for Disease Control determined that 95 percent of hip fractures are caused by falling, usually by falling sideways. Of the 800,000 patients that are hospitalized every year because of injuries related to falling, over 300,000 are hospitalized for hip fractures each. 11% of all nursing home falls result in hip fractures. Women 85 years and older are 8 times more likely to be hospitalized from a hip fracture than women ages 65 to 74. Despite advances in medical treatment and surgical hip repairs, elderly people that sustain hip fractures suffer a dramatic decline in physical functioning that severely limits their ability to perform routine tasks like getting dressed or getting out of bed. 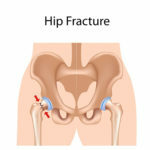 In fact 50% of people ages 75 years and older that fall and sustain a hip fracture die within one year of their injury. Nursing homes must take several measures to limit the risk of falls. (Read more about Nursing Home Fall Prevention Responsibilities by clinking on our Nursing Home Fall Injuries page). Depending on a particular patient’s needs, proper equipment should be provided to ensure that the risk of falling has been minimized. For instance, ensuring that handrails are installed in the bathroom to aid with bathing and other activities is an important precaution in preventing against shower falls. Likewise, providing bathing chairs for patients that are unable to stand for the duration of a shower can also help prevent muscle fatigue that ultimately leads to a fall. While falls are certainly a significant source of hip fractures, dropping a nursing home patient can also lead to hip fracture. 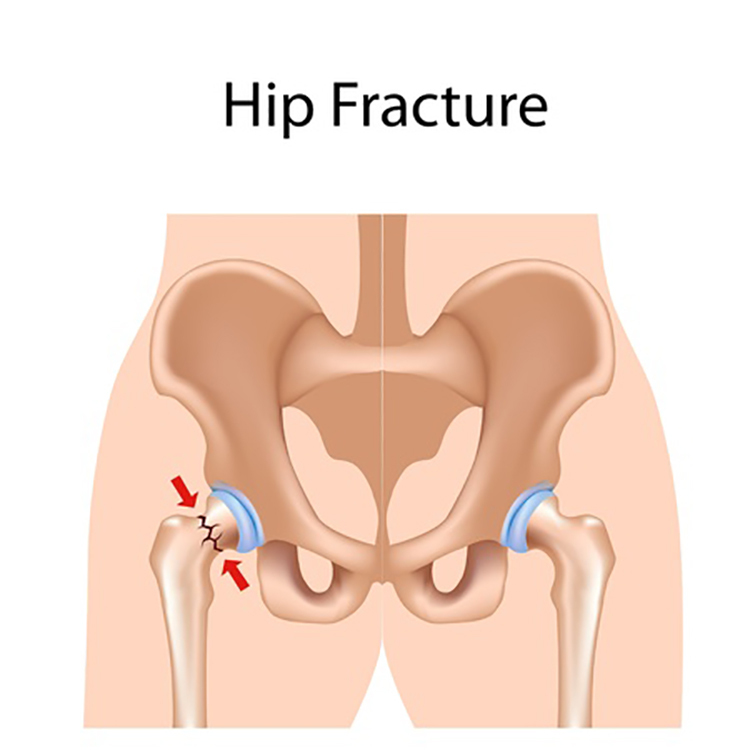 A hip fracture is often treated with a surgical procedure known as a hip replacement. In such procedures, the hip is replaced with an implant to help patients regain mobility. However, while this may help patients regain some of their lost mobility in the long-term, short-term effects can be devastating. The procedure can be very painful as it involves replacing the hip with an implant and connecting bones to the implant using metal screws. If a patient must recover in their nursing home facility, such facilities are often not properly equipped to provide the level of around-the-clock care patients need during this recovery process. Initial lack of mobility after the surgical procedure can cause other complications, too – like bedsores. Hip fractures can occur as a result of a variety of activities and accidents. When such injuries occur in a nursing home, it is important that the circumstances surrounding the injury be properly assessed to determine whether or not the nursing home where the hip fracture occurred might be liable for costs associated with the injury. 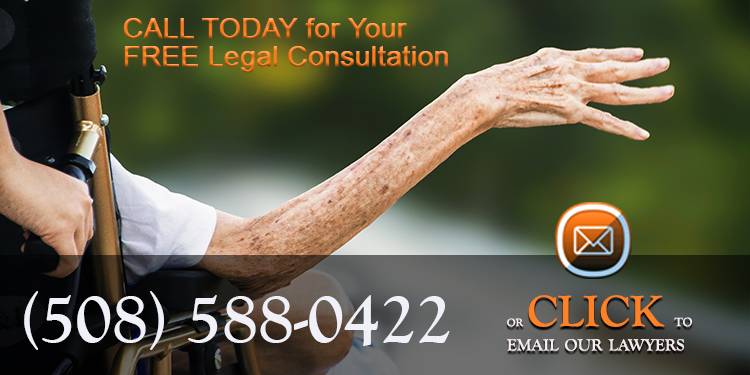 If you or a loved one have received a hip fracture in a nursing home and believe such injury was due to the negligence of either the facility or the staff, contact our lawyers today to schedule a consultation where we can discuss the circumstances surrounding the injury and determine what options might be available to you. Massachusetts Attorneys for Accidents and Injuries Resulting from Nursing Home Neglect and Abuse. Free Consultation. No fee if no recovery.